Andrew, will your books address coats & dryness of skin by breed. Do your receipes address various conditions. We are in the process of adopting a rescued canine. Our previous animals were Rotts this breed is American Pitt. Rotts have a lot of issues with there food. Hopefully Ziwi Peak is food you top nine. Cottage cheese, eggs, carrot juice and meat played a big part of there intake. The animal are looking to rescue is beautiful except he seems to be loosing the fur on his ears and he has flakes on his back. I spoke with the current foster parent and he indicated that he was administering fish oil in the dogs food. Not real sure what type of food they feed him. I believe the condition has been either brought on by stress or his current diet. I found your site and am a little skeptical please ease my mind by giving me some of your thoughts. We don’t give specific breed advice but our recipes are hypoallergenic and I’ve heard many stories of skin problems vanishing after following our recipes. 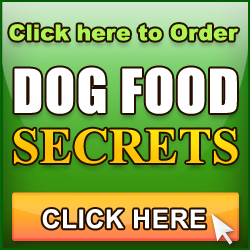 Dog Food SECRETS Gold pack also now comes with a Special Needs guide for things like diabetes, arthritis, allergies, diabetes and more. Hi Andy, the Gold Pack now comes with I think 8 books or something… it wouldn’t be possible to deliver all those books as hard copies and keep the price as low as it is. We also made a conscious decision to be environmentally friendly by not cutting down trees to provide our info, its the info that saves lives and not the paper its printed on. Sorry. we have had some discussion about an enviro friendly version printed on recycled paper but at the moment its not cost-effective. is Merrick wilderness on your good dog food list? Haha, I can’t say I approve of the diet Chalene but I can tell your dog gets a triple serving of love! I like Nutro products, Solid Gold has a good reputation but its not one I recommend. As someone living in the UK. To what extent are the contents of your publications valid over here? For example how many if any of the nine dog foods that you recommend are sold in this country and have you researched any that are specific to the UK? Andy, why can’t you tell us the 9 best dog foods to buy without having to buy the book. I realize that everything can’t be for free, but this is something that I would think you want to spread fast so that people are aware of what’s going on. I have been checking every bag I can get my hands on for the ingredients. I have literally become obsessed with this. I can’t believe what companies are doing to us. hi tom, I can appreciate the question but please keep in mind I have a team of 7 fulltime people besides myself to bring you and the dog owning community at large all the info we research and share, much of it free. I hear comments like yours a lot but if we didn’t ask something in return for our efforts, our message would not get out to any dog owners. People may think we make heaps of money but the truth is, for the past 12-18 months since the recession hit, I’ve been keeping this company alive by covering expenses from my own personal savings and drawing no salary myself. 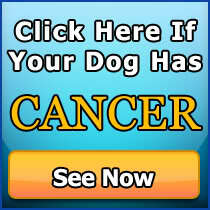 Thank you very much for the \"FREE\" Dog Food recipe download and Free copy of Canine Cancer Secrets Gold Pack download and very important fact filled information emails. Tessa enjoyed her home cooked Tuna, Egg and Cheese Supreme immensely. She had to have a second helping! Tessa said that she was very glad to hear that other people were very concerned about her health and well being. Because it is her first and foremost priority aswell. 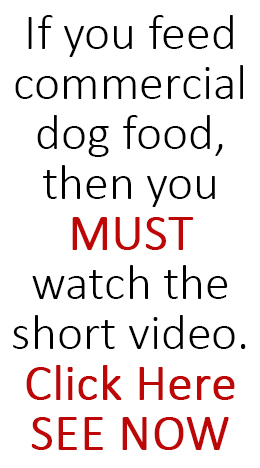 G\’day Andy, How does the \’9 good dog foods\’ relate to Australia. Do the American brands compare to the brands in Oz? Dear Andrew thanks for the video it has certainley made me think about whats going into my best friends gut. What survays are there for the UK market as i’m a pet owner in the United Kingdom great Britain. your artical was quite an eye opener. Once again thanks for the warnings and can you do a brit money order for your book? an appreciated dog friendly Human.